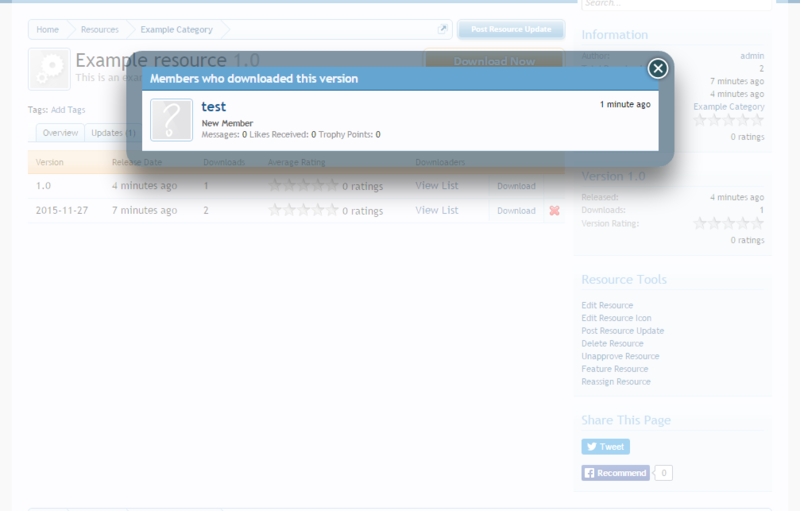 This add-on is designed to show all members who downloaded resources. The download list is available for resources in general and for each resource versions. 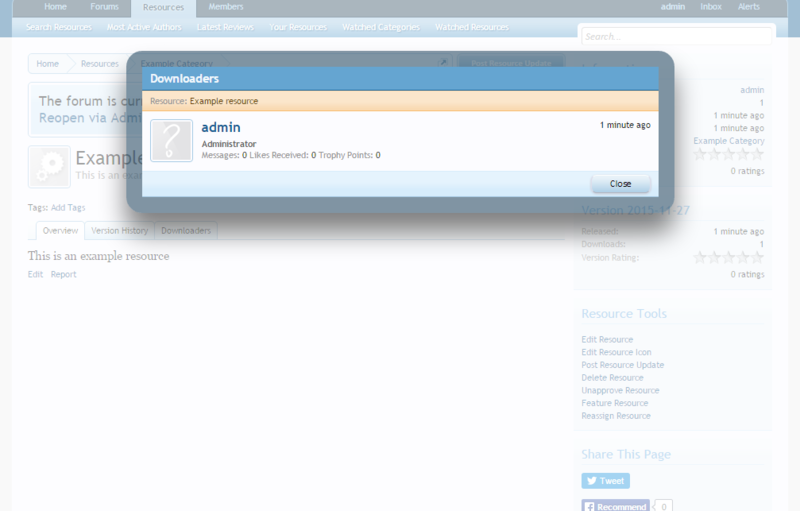 Those permissions control who will be able to view the downloads list. The first permissions can be found under the Resource Permissions section and the second permission can be found under the Resource Moderator Permissions section.